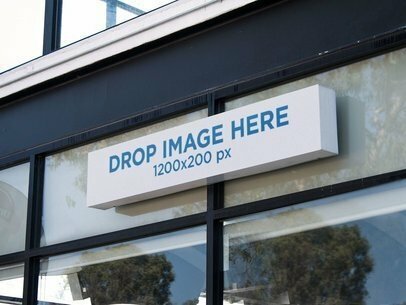 Have a look at this rectangular sign outside a white store, it's a gorgeous visual that will help you build a stronger image marketing. 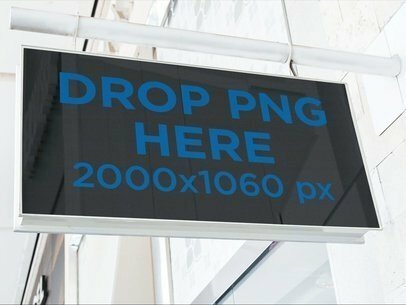 Drag-and-drop a jpeg or png file on the interface for us to merge it with the interface. Amazing, right? 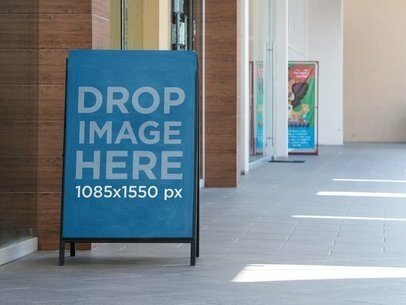 Try another Sign Mockup here! 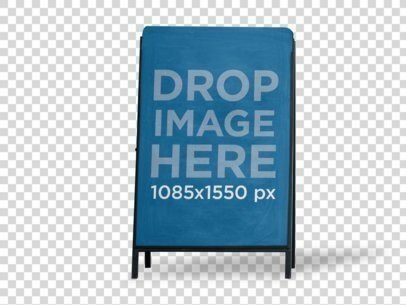 This is a horizontal banner mockup in which you can display your brand's logo or other elements to promote it to clients. If you are a designer, this is also a great place in which you can showcase your projects as a part of your portfolio. To see another Banner Mockup click here! 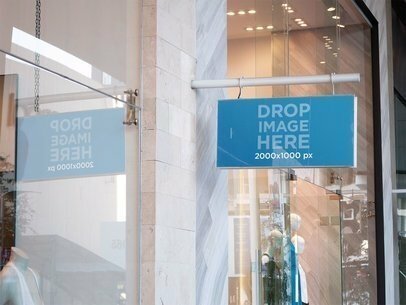 Check out this template of a long horizontal sign outside a front window of a store, it's a cool visual that'll help you build a better image marketing. 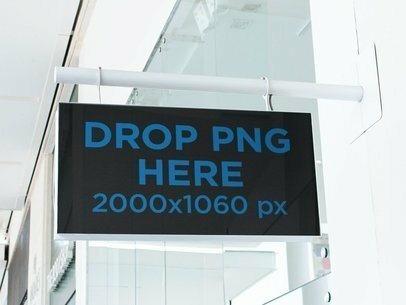 All you have to do is drag-and-drop a jpeg or png file on the interface, we will merge it for you in just seconds. Awesome, right? 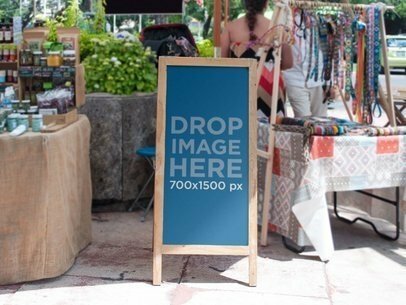 Try another Sign Mockup here! 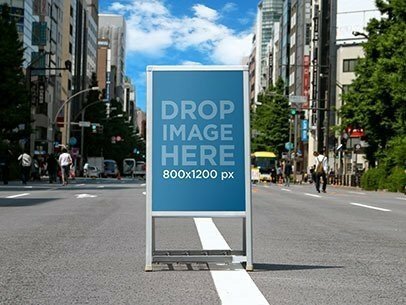 Have a look at this mockup of a metal advertising board standing in a transparent environment, it's a really cool visual that'll help you build a better image marketing! 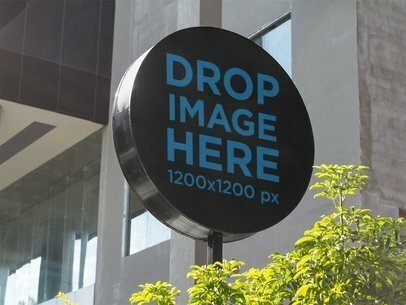 All you have to do is drag n' drop a jpeg or png file on the interface, we will merge it for you in just seconds. Start now using Placeit and make your income grow! 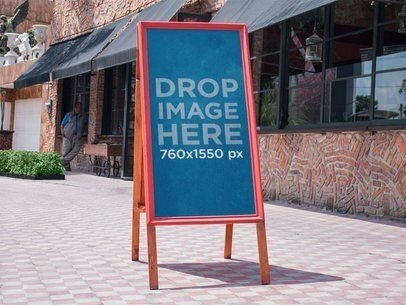 Try another Sign Mockup here! 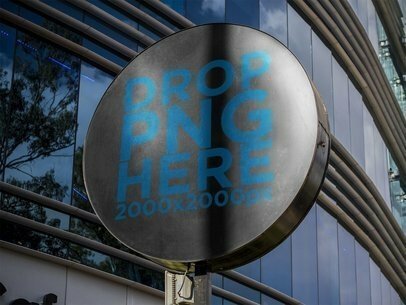 Have a look at this awesome mockup of a round sign standing in a coffee shop outside a mall, it's a beautiful visual asset that you can start using to make your revenue grow! All you have to do is drag and drop an image file on the interface, we will merge it for you in just seconds. Start using Placeit and make your income grow! 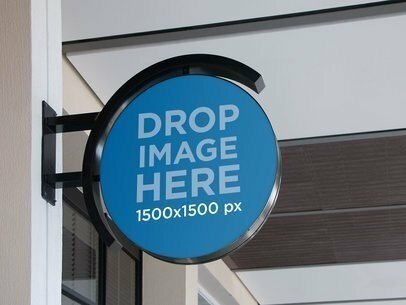 Try another Sign Mockup here! 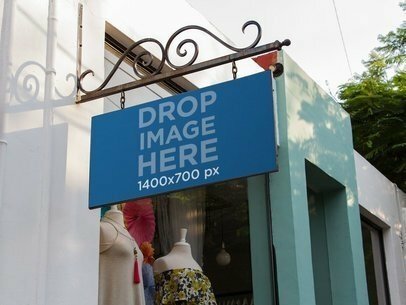 Have a look at this horizontal sign outside a white store, it's a gorgeous image that'll help you promote your designs or logo in a smart and beautiful way! All you have to do is drag-and-drop an image file on the interface, we will merge it for you in just seconds. Use it now and make your income grow! 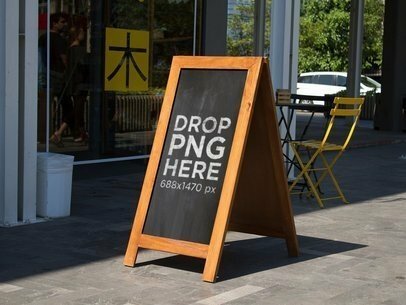 Try another Sign Mockup here! 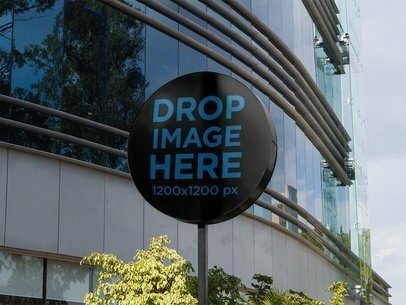 Have a look at this awesome mockup of a round sign standing outside a big mall, it's a cool image that'll help you build a much better image marketing! All you have to do is drag-and-drop an image file on the interface, we will merge it for you in just seconds. Awesome, isn't it? 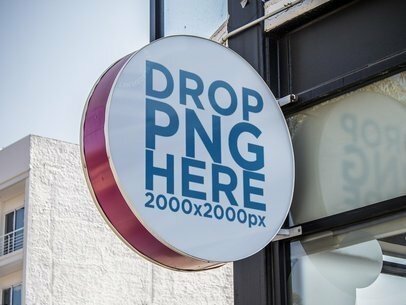 Try another Sign Mockup here! 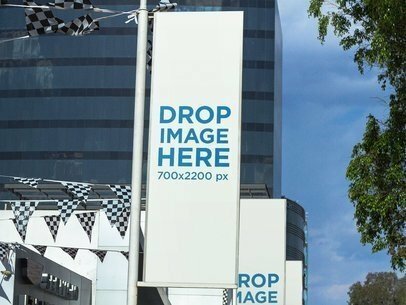 Enhance your visual marketing campaign by making banner mockups from Placeit the latest addition to you marketing tools right away and start achieving success within no time! To see another Banner Mockup click here!